Connor Frost and his sister, Gabriella Looney, drank baby formula tainted with lead and bathed in poisoned water. When Connor, who is now 3, began preschool last year, he wasn’t potty trained, had unexpected pains in his legs and could only say three words: “Ma,” “Pa and “Dawn,” the name of his babysitter. His sister is a year older and couldn’t talk or hear well. 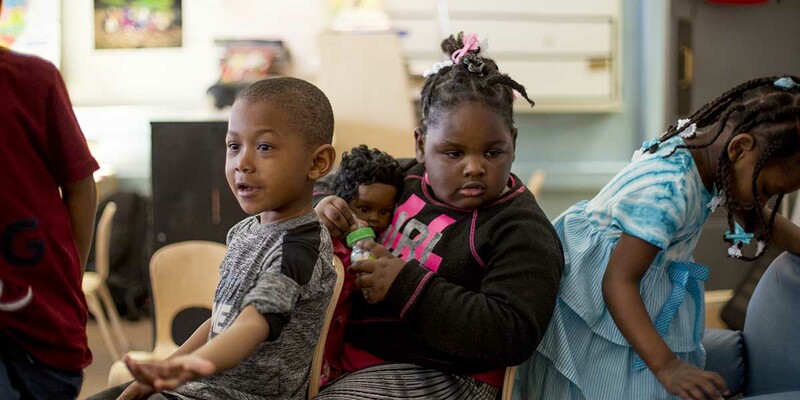 They are members of Generation Flint: The 5,000 children in the city who are 5 or younger and at higher risk of learning disabilities and health problems because of the contamination of the city’s municipal water supply. Both are students in a unique preschool, Cummings Great Expectations: An Early Childhood Center in Flint, that is showing big strides in educating children affected by the disaster. More than half of the school’s 115 children had at least one developmental delay that required health and social services, records show. Laurie Frost, who is the grandmother of Connor and Gabriella, fought back tears recounting how far they have come. 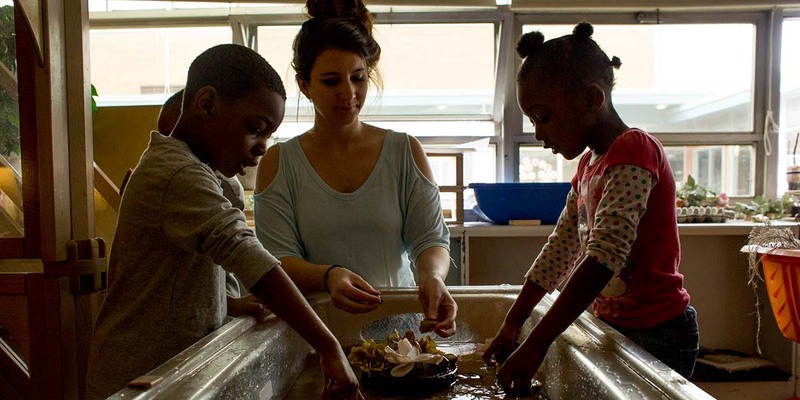 Cummings is one of three preschools focusing on Flint’s lead-exposed children, two of which say they have seen 20-30 percent improvement in cognitive abilities in one year’s time. The future of the programs, however, is in question. Operated by the University of Michigan-Flint, the free public schools offer specialized services, and cost as much as $19,000 a year per student. That’s three times as much as typical public preschools, and grant funding for extra services is set to expire after the next school year. 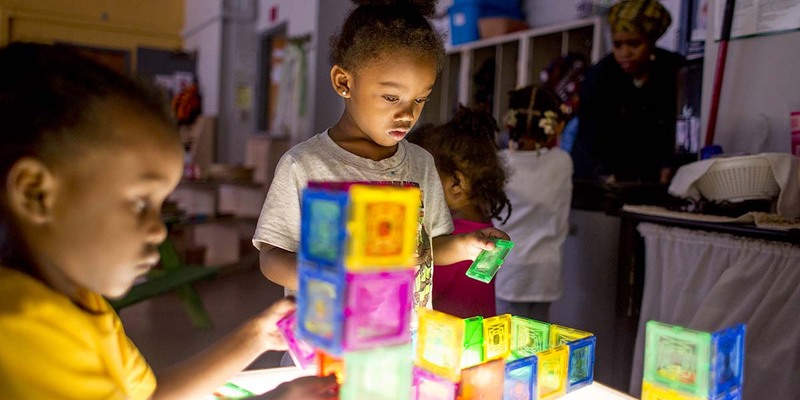 “We don’t know if we’re going to be here past September 2019,” said Amy Hesse, central administrator for UM-Flint’s early childhood development programs. The U-M preschool for lead-exposed children is not the only preschool program that is running out of cash. The additional state-funded preschool classes awarded to Flint Community Schools through the Great Start Readiness Program also will end in July. The district now has about 125 students in the program. Next year, Cummings will have to turn away new preschool children whose families make more than 130 percent of the poverty rate (more than $32,000 a year for a family of four.) That’s because there will be no money to fund space for children who don’t qualify for the subsidized classes, Hesse said. 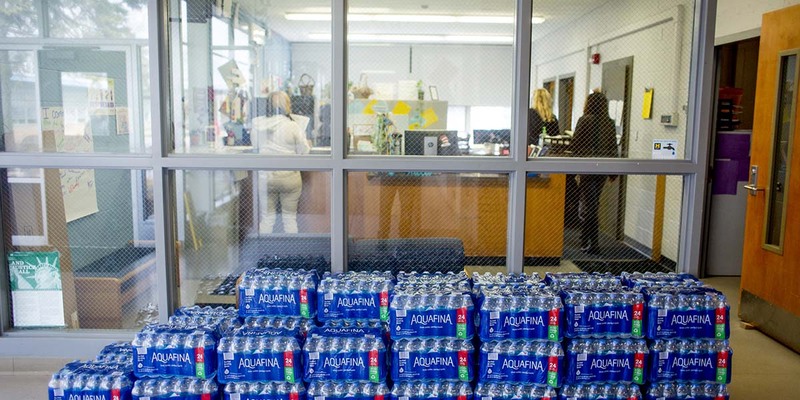 Michigan announced in April it would stop delivering bottled water in Flint after tests showed the municipal water exceeded safety standards, but officials say the crisis that began in 2014 and became public in 2016 is far from over. Elevated lead levels have been linked to decreased cognitive abilities, delinquent behavior, cardiovascular problems, and other problems that can be passed on to the next generation. Already in Flint, third-grade reading proficiency dropped to nearly 11 percent from 42 percent from 2014 to last year, state records show. All the students at Cummings were tested for lead exposure, and half had levels between 5 and 30 parts per billion (6 is elevated), Hesse said. Besides Cummings, there is one preschool classroom at Holmes school in Flint and the Educare Great Expectations program that opened last fall as part of a partnership between U-M, Flint Community Schools, several foundations and the Genesee Intermediate School District. The centers “are meant to be a model program for the entire state,” said Gregory Weatherspoon, interim superintendent of Flint Community Schools. 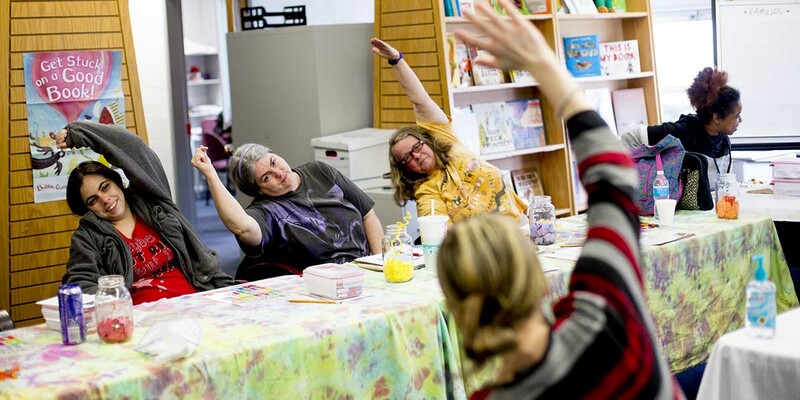 The year-around, full-day programs offer after-school care, nurses, nutrition specialists, social workers and family engagement specialists to give families “wraparound” support. Classrooms are staffed with three teachers, or about one for every eight children. Related: Low-income Grand Rapids preschoolers are catching up. Will Lansing notice? The schools offer transportation services, and mobile fresh food markets set up mini grocery stores for parents once a week at Cummings. Staffers are trained to notice and intervene when there are signs of physical, emotional or cognitive problems. The guiding principle is to identify potential delays in the children, address them and teach parents how to identify and care for their children’s special needs. 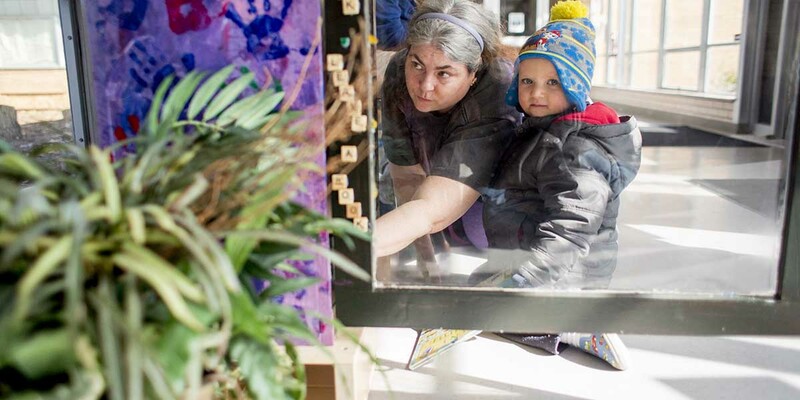 The curriculum is inspired by the Reggio Emilia approach that involves parents, focuses on children’s physical and emotional needs and teaches through hands-on exploration. In April, one program taught parents how to make corn salad for children to reduce blood lead levels. Cummings orders two pallets of water each week to give away to parents, Hesse said. She said one mom this year told her 3-year-old had never taken a bath at their home. The family avoids tap water, even if the government says it’s safe, and bathes at a relative’s house outside of the Flint, Hesse said. The preschool programs were cited by Lt. Gov. Brian Calley as a Flint success story during a gubernatorial debate Thursday on Mackinac Island. Test results from 2016 to 2017 showed that none of the preschoolers at Holmes or Cumings were kindergarten-ready when they enrolled. But by spring, all showed gains of 1 to 30 percent, putting scores within a range that is considered kindergarten ready. 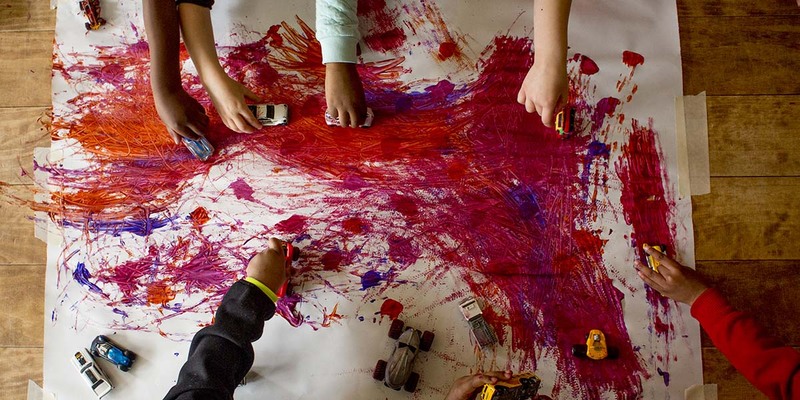 The point of preschools everywhere, of course, is to prepare children for kindergarten – but Weatherspoon said officials can’t compare progress at the U-M classrooms with other Flint preschoolers because too little data has been collected. Weatherspoon noted that Flint children outside of the U-M program still receive Early On, Early Head Start and Head Start programs that are federally-funded for children ages 0 to 5. “Flint Community Schools partnered with the U-M Flint, the (Intermediate School District) and community partners to enhance the continuum of education for all students.” Weatherspoon said in an email. Cummings also administers another test, COR Advantage, by the nationally renowned HighScope Educational Research Foundation in Ypsilanti, that measures progress on six indicators including learning skills, social/emotional, physical, language, math and creative arts and science/technology. While the purpose of the test isn’t to compare students, scores in Flint loosely suggest they reached about the same scores as children who are ready for kindergarten, said Christine Maier, chief of the applied practice group at HighScope. Bob Barnett, dean of the School of Education at the University of Michigan-Flint, said the results show the state needs to do more not only for Flint children, but children statewide who are impacted by trauma. 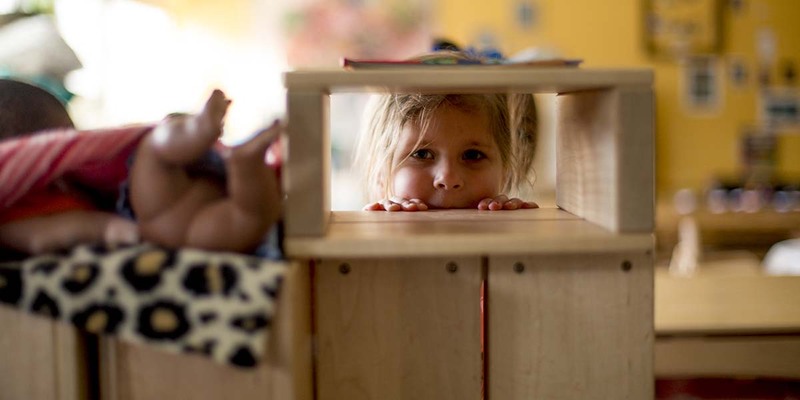 U-M is part of a coalition of education, foundation and government leaders that hosted a summit in April that called on the state to adapt similar high-quality preschools statewide. “Whether it’s the lead crisis or not, these kids need intervention and they need it now,” Barnett said. The tests are one indicator. Relatives such as Nicole Parker say they can see progress daily. Parker’s 4-year-old daughter, Zoey, is set to enroll in kindergarten in fall. She said she’s confident Cummings prepared her daughter, who had a lower lead exposure level of about 3 parts per billion, for public school. Parker said Cummings differs from other schools because of the intense attention paid to children. The doors are open from 6:30 a.m. until 5:30 p.m. and children get two meals and snacks. It feels more like a family looking out for its children than a school, said Parker, 38. Once again, if this program is so great, and I'm sure it is, nothing will stop anyone from petitioning the Flint city government to raise taxes or cut spending elsewhere to pay to extend it. Why is we want X Y or Z and want someone else to pay for it stories such a thing for Bridge? For a decade michigan has debated more early childhood programs ! Funding should be available especially for Flint !as we watch tax breaks in detroit for Gilbert and Illitch it's tragic that michigan once a leader in education is not making these programs happen ! Children are the future and in this case a horrible government action has hurt them ! What better use of tax dollars than education! Therefore, we folks in Flint have no ability to fund the education that is essential to (partially) remedy the damage that was caused by the state's giving our kids untreated water to drink. Answer to Matt: Because if we don't find ways to help these kids, they will become burdens to society. The costs of poor learning skills, and therefore poor work skills adds up. So does the societal and personal cost of getting involved in the criminal justice system, medical costs, rehab costs, and the costs of unproductive behavior. Allowing young Flint kids to suffer learning and health problems diminishes their capacity for life. That's not how to grow a healthy community. Once again the point isn't the benefit of this program, I'm agnostic. It is this thinking that somehow money coming from the State's taxation is different that a community taxing itself to provide what ever goodies it perceives are needed. Last I checked we're still talking US Dollars being taken from tax payers. The only difference is that those pushing this program want someone else far away to pay for it. Great to see such a remarkable program that is working. Our state did this to these poor children and their families. The state should be taking care of their education until they can graduate from college and medical needs for life. This whole issue with the Flint water crisis just burns me to the core. A well-put together article. Generation Flint is a phenomenon that we all share in resolving; any thoughts to the contrary are inhumane and lacking in moral fiber. Its good to know that improvements are occurring; the educational outcomes of these children hinge upon investments that we make now. The setback that they received from this crisis must be mitigated. A wonderful article, but we don't call our children "Flint water crisis kids". Some have experienced trauma, some have elevated blood lead levels, but Flint children are no different than other children. They are not defective. The water crisis does not define them. They are "children who were affected by the Flint water crisis", not "Flint water crisis kids".